Our firm provides Air Duct Cleaning in Baltimore & Dryer Vent Cleaning in Baltimore to remove heavy dust buildup, mold (if present) pet hair and dander as well as many other allergens. Our air duct cleaning is a process in which we cut no corners, unlike many competitors this type of cleaning is not quick or easy, and it is not as cheap as they advertise. We clean and service the entire heating, ventilation and air conditioning (HVAC) system. Our truck mounted rotary brush system and negative air machines remove all dust, debris and contaminates from within the system and out of the home making for a much more cleaner environment while servicing. Don’t be fooled by low pricing and gimmicks. If it looks and sounds too good to be true, IT IS! 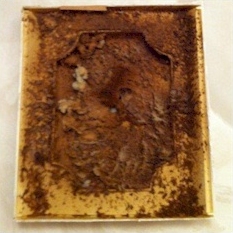 • If you notice excessive dust buildup on furniture, supply or return vent covers. • If the edges of the carpet in your home have darkened due to filtration soiling and negative air pressure which result’s in dust and grease piling up over the years in all cracks and crevices of the carpet. • Any post construction or remodeling that has been done within the home will have resulted in saw dust and debris infiltrating the system. • Also the presence of pets will result in their dander and hair being trapped and circulated throughout the system. • If there are smokers within the home would be another factor. • Most importantly would be if there are any infants or children present in the home or any member of the household that suffers from a compromised immune system or respiratory issues. WE WILL CONDUCT A COMPLETE SYSTEM INSPECTION, POINTING OUT AREAS OF CONCERN WHILE EXPLAINING THE STEP BY STEP PROCESS OF WHAT IS GOING TO TAKE PLACE AND ANSWERING ANY QUESTIONS OR CONCERNS. We will begin the cleaning process of the entire HVAC system. 1) Starting with removing all vent and return covers allowing access to clean, sanitize and decontaminate all air duct shafts including returns and trunk lines. 2) We then connect negative air and our powerful truck mounted rotary brushing system to the main supply lines while employing various types of agitation tools, this will vary with the many different types of duct work being used to loosen any dirt, dust, hair, cobwebs, and debris from within the line ensuring a very thorough cleaning of the entire ventilation shafts and components. 3) We will also clean and sanitize the entire HVAC unit including the blower, evaporator coils and any other accessible components. 4) Make sure all duct work is taped and sealed where any air leaks could be present. 5) Followed up with installing vent register filters and a new electrostatic filter in the furnace unit. 6) Next will be the entire dryer and exhaust line from within the home leading to the outside exhaust hood and sealing up any loose fittings or connections. Any damaged lines will need to be replaced. 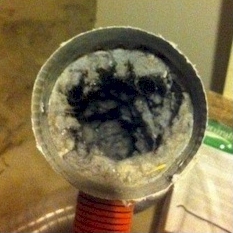 How Long will the Air Duct System Cleaning process take? On average a single zone air-duct cleaning in a normal sized home with one furnace and between 10-15 vents will take approximately 6-8 hours. This will vary from the size and scope of the job and each home depending on how many zones there are as well as total number of vents and returns as well as the condition of the air duct system. PRICE: How Much for Air Duct System Cleaning ? The price for the average home with a single zone and roughly 8-10 vents will range between $400-$1000. Depending upon size of home, number of zones in the home, vents, returns and trunk lines and what services are requested the price can fluctuate. We would be happy to provide you a free onsite analysis and estimate for services if interested.